Four years ago (geesh, had it already been 4 years!?) I purchased my first mascara from Lancome, the Lancome Oscillation mascara. It came with an almost Php2k price tag (can't remember exactly) and I must admit, I just got carried away with the good things I've read and heard about it from people who have tried it. And dang, it was a totally waste of money! I told myself, "What was I thinking!?" So yeah. that's a lot of money down the drain. I think I got so disappointed that I gave it away. If you wanna know why, you can check out my review here. Since then, I stayed away from pricey mascaras. If I can score a cheap mascara that works, why not? I think the priciest mascara that I've used and liked is the Benefit They're Real mascara. It's Php1600 a tube, pricey but it delivers. I didn't get disappointed like what happened with Lancome. I told myself I'm not gonna commit the same mistake again. Don't get me wrong, I love Lancome, most especially their makeup remover and the Genefique. But no, not their mascara. It's gonna be a total waste of money...for sure! So what's in this mascara that made me change my mind? A showstopping mascara that delivers layerable volume and luscious length for up to 24 hours. This particular packaging is courtesy of the brand's collaboration with Alber Elbaz, a famous Israeli fashion designer and creative director of Lanvin. 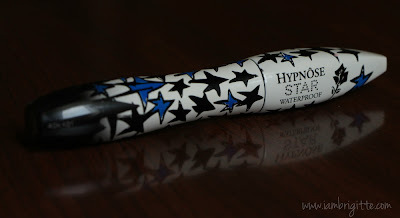 The usual packaging is in the same shape, but just in black with tiny silver glitters at the bottom half of the tube. The brush is a dual-sided brush with a cone-like shape. I love that it comes with shorter bristles at the tip, perfect to apply the product on the inner corners and lower lashes. It's designed to separate, volumize and lengthen. My lashes are not really long, and they are straight. And like the hair on my head, they are thin too! And this is how my lashes would look like when curled. 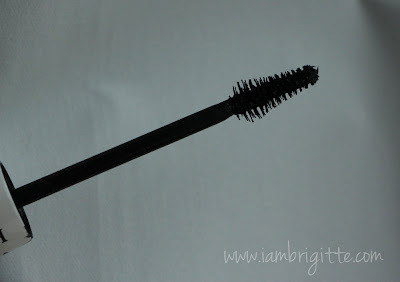 My current favorite curler is from Bobbi Brown! As you can see, my lashes can be curled nicely (well, depending on the curler) but since they are thin, I still need a mascara to emphasize my peepers and give it a more awake look. See how it made my lashes look more volumized with just one application? It also gives the lashes that jet black, glossy effect which is perfect if you're wearing dark eye makeup. 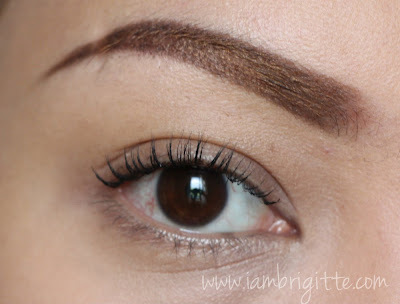 The formulation is kinda wet, but it's just amazing how it keeps my lashes curled..for the whole day! Well, of course I haven't tried wearing my makeup for the whole 24hrs. But it stays like that until I take it off. I can apply another layer and the look will still be clump-free. I can say, stop at the 2nd layer since this is a wet mascara, your lashes will clump if you apply too much. 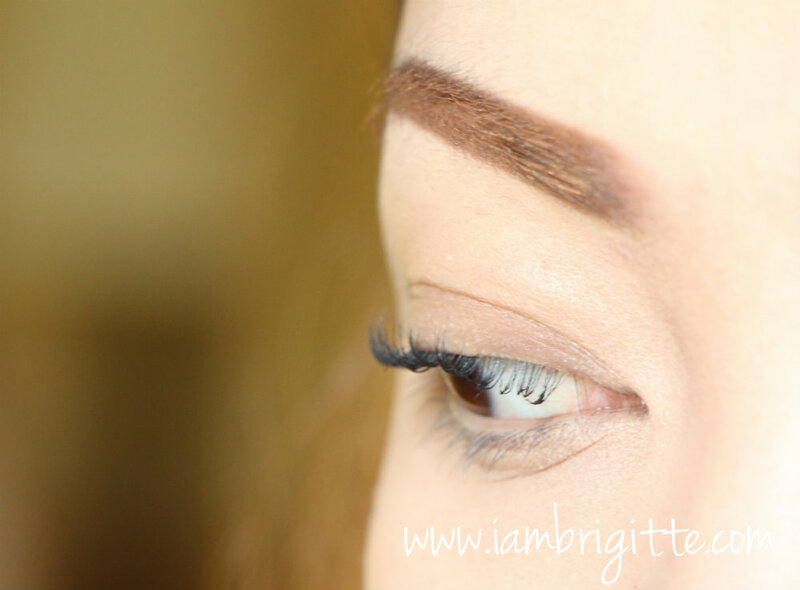 If you want a really thick lashes, go for false eyelashes instead! And yes, this baby is really waterproof! You can dance in the rain and this won't budge. No flaking and no allergic reactions too! You need a good eye makeup remover to take this off so I suggest you use your trusted oil makeup remover, or the good 'ole Ponds Cold Cream that I use! 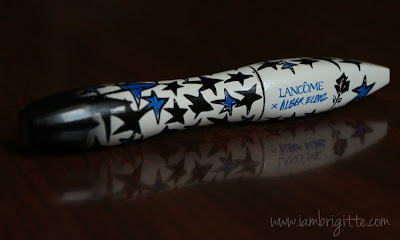 Like other Lancome mascara, this sells for almost Php2k a tube. Pricey, I know but hey, it works and it guarantees me with fabulous peepers all day long so why the hell not! It's a few more hundred bucks than my previous fave mascara (Benefit They're Real) so I guess it's just okay. I love it so much that I bought one for my Mom. I'm on my second month of using this, and I use it everyday! I only need a single layer on most times, so I'm guessing that this would last me for more than 4-5 months! I know, don't worry, I'll throw this away once it gets all sticky and smelly. But on second thought, I'm gonna keep it as a remembrance. The packaging is lovely, don't you think? So have you tried this? Or are you willing to give it a try despite it being pricey? Or you'll just stick with cheaper brands that works for you? hello darling - you have a beautiful blog-gorgeous MASCARA! I‘m following you and hope you can follow me back!